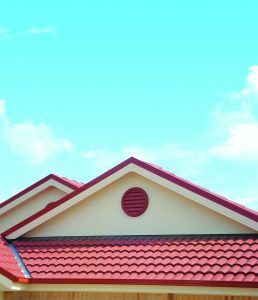 Lead-free alternative roof flashing has been gaining prominence in recent years as lead prices rise; however, there are concerns regarding the lack of durability requirements for these products under Australian standards. Adelle King looks at the lead debate taking place on your roof. Lead has been the material of choice for roof flashing for centuries due to its durability and long life span. However, an increase in worldwide lead prices has resulted in a number of alternatives gaining popularity. 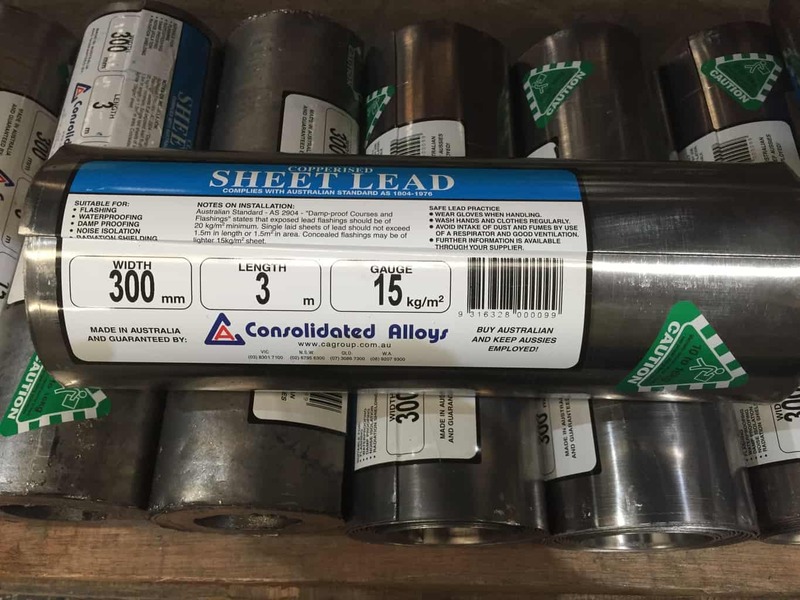 Between 2015-16 and 2016-17, the average annual price of lead increased globally by 19% to $US2,116 ($A2,807) per tonne, according to the West Australian Government. Additionally, in December 2017, the International Lead and Zinc Study Group said global refined lead demand had surpassed supply for the first 10 months of 2017. These price rises have prompted some contractors to start turning towards lead-free alternative flashings, which are easy to handle and install. Generally made from either modified polyethylene compound or butyl rubber, these alternative flashings are lighter and cheaper than lead and designed to be installed anywhere lead has traditionally been used. Arguably, the best known of these is Wakaflex from Evo Building Products. Wakaflex is a lead-free roofing flashing tape made from UV-resistant polyisobutylene rubber, with an aluminium honeycomb mesh and a butyl adhesive to prevent uplift. It also has a self-bonding ability and is suitable for nearly every roof profile. “Polyisobutylene is flexible, entirely waterproof and very light, which means Wakaflex is quick and easy to install. However, the best part is that you don’t need any specialist tools, such as power snips or lead dressers, to cut it down to shape, just a pair of scissors,” says Evo Building Products national sales manager James Cowley. Wakaflex is suitable for rainwater harvesting systems and complies with the requirements of AS/NZS 4020:2005 Products for use in contact with drinking water. It has also been CSIRO tested to ensure compliance with the CSIRO requirements for AS/NZS 2904:1995 Damp-proof courses and flashings. From a plumber’s perspective, Wakaflex can halve installation time as it doesn’t need to be stripped down or cut into sheets. An entire 5m roll can be laid out without any re-measuring as the rubber moulds to the contour of the roof. Deks Industries regional sales manager Kristian Speers agrees that the reduced risk of workplace injuries is a big selling point for alternative roof flashings. 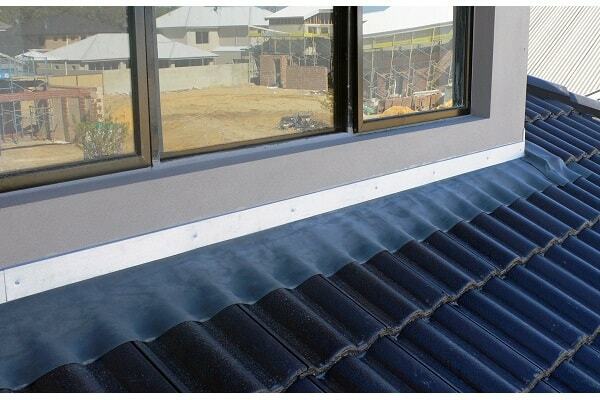 Deks Industries distributes Perform lead-free roof flashing in Australia. Perform is a self-contained structure with a high dimensional stability that provides a porous/breathable covering. “Perform is more than 60% lighter than lead but a 300mm roll still has a 60% horizontal expansion capacity,” says Kristian. 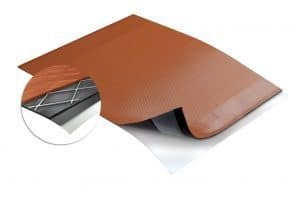 Wakaflex is also more cost effective than lead flashing by approximately 20% based on a per lineal metre rate, according to Evo Building Products. With lead prices going up and cost considerations becoming increasingly important, this can be a compelling argument for plumbers to switch to alternative flashings. However, there are questions about the durability of lead-free products, which do not have to meet the same durability or performance requirements as lead under Australian Standards. AS 2904:1995 covers flashings and dampcourses that have historically been used in Australia, including aluminium, copper, lead and zinc, but because lead-free alternatives were not widely used when the Standard was published, these are not specified. There have been calls from some in the industry for the Standard to be updated to reflect the growing use of alternative polymer-based exposed flashing. “The market has transitioned to a certain point and this is very much governed by lead prices. 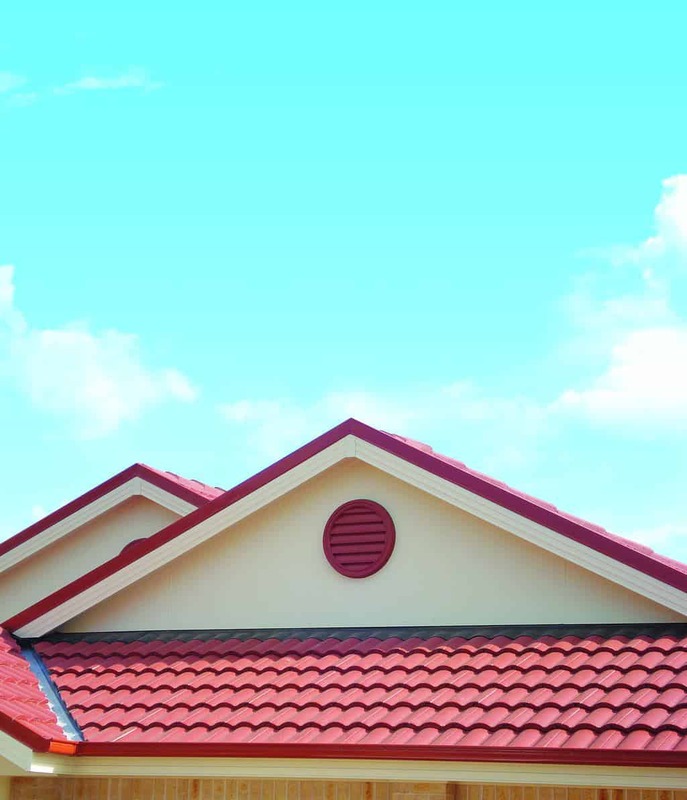 This means there is a need for alternative flashing but because there isn’t any durability standards there’s no way to tell how long these products will last on Australian roofs,” says a spokesperson for CAGroup. Melbourne-based CAGroup is a manufacturing and distribution company that sells a broad range of building, plumbing, tin and lead-based, and traded non-ferrous metal products. Although the company has traditionally been focused on manufacturing lead flashing, it has also introduced a lead-free alternative, Ubiflex. 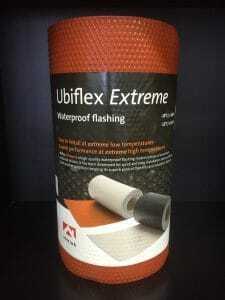 Made from aluminium-reinforced silicone, Ubiflex is a waterproof flashing that has been developed for quick and easy installation. It remains strong and durable in a wide temperature range, from -30°C to 180°C, does not soften, melt, evaporate or become brittle and has good wind uplift resistance. “The weight of lead is its strength but we recognise that this is also its Achilles heel, which is why we introduced the Ubiflex product,” says the CAGroup spokesperson. “We’re invested in the lead-free alternative flashing market but we also want to ensure that all products being installed are high-quality and durable. We do have concerns regarding the long-term durability and wind uplift resistance ability of some alternative flashing products. AS/NZS 2904:1995 specifies 10 testing methods (4347.1-4347.10) and CAGroup is calling for alternative polymer-based flashings to be captured under the same Standard and linked to a new durability test. The spokesperson says CAGroup also wants a Technical Committee to review the sheet lead minimum thickness of 1.7mm for exposed flashings, which equates to approximately 20kg per square metre. This is specified in Table 8.1.1 of SA HB39:1997 – Installation code for metal roofing and wall cladding. As the National Construction Code (NCC) finishes up a consultation period on proposed changes, now appears to be a good time for the industry to start a discussion on how durability requirements for lead-free alternative flashings can be incorporated into Australian Standards.